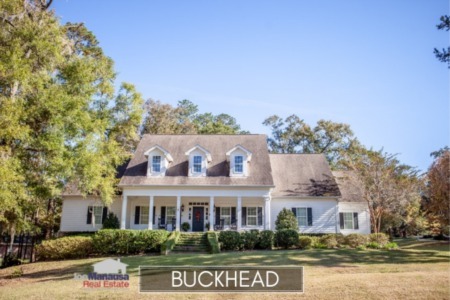 Buckhead is located in the 32309 zip code, on the east side of Centerville Road and across from the southern edge of Killearn Estates. 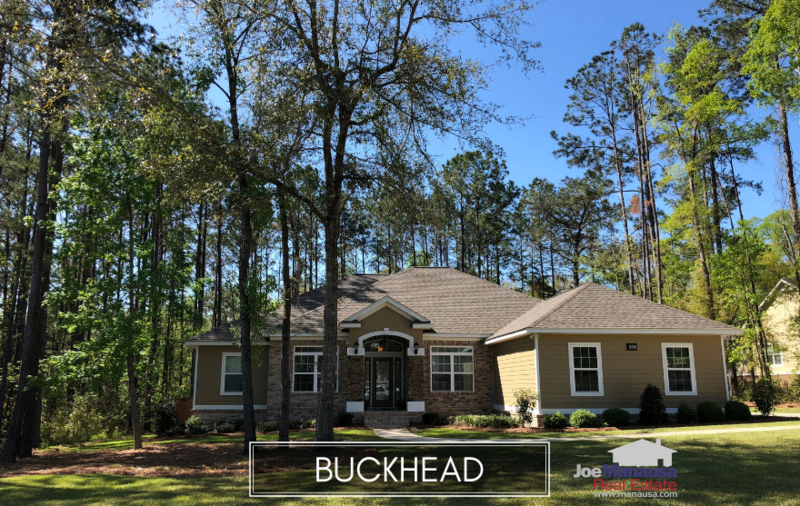 This popular Northeast Tallahassee neighborhood that features larger, newer homes than what you might find in Killearn Estates, and as such has served as a popular choice for people desiring a newer home in the vicinity of Killearn Estates and its amenities. It is important to note that the narrative contained below is for sales through December for all previous years, but through the middle of December in 2018. The graphs and the closed sales table will be continuously updated into the future (meaning bookmark this page if you always want to know the current status of homes for sale in Buckhead). The average home price in Buckhead this year has been $490K, roughly 8% higher than the average price recorded in 2017. Home sales activity in Buckhead remains consistent with what we have seen over the past ten years. Currently, there are two homes for sale in Buckhead and neither one is under contract. Buckhead home values have been fairly stable over the past two years, as the neighborhood transitions from new home sales to most existing home sales. The average value of a home sold in Buckhead in 2018 is $159 per square foot. The average home size sold in Buckhead typically falls in a range of 2,500 to 3,500 square feet, and 2018 has followed this pattern. The eight homes sold in Buckhead thus far in 2018 averaged 3,097 square feet. 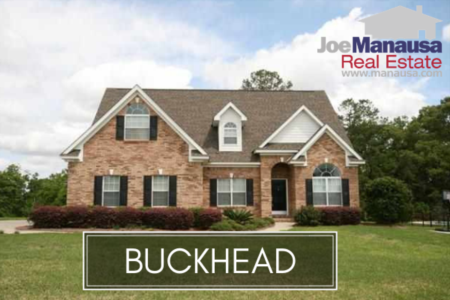 This concludes our December 2018 update on home sales in Buckhead, please give us a call at (850) 366-8917 or drop us a note if you have questions about this great place to live in the 32309 zip code. Give us a call about your move, you'll be treated like Royalty. Here's what people are saying about working with Joe Manausa Real Estate, you can see hundreds of real customer reviews reported on Google, Facebook and Zillow right here: http://www.manausa.com/testimonials.